Easily run and maintain a video website using WordPress. Vidio is created with the video blogger’s needs in mind. 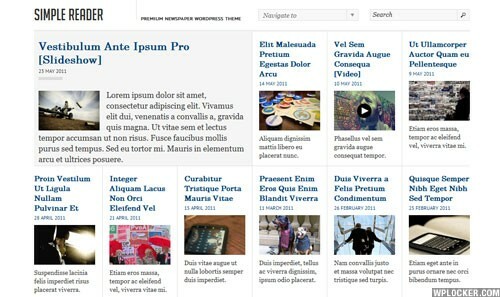 Vidio is around videos to eventually constitute impressive multimedia seamlessly wrapped in WordPress. Wardrobe is designed for multi-category fashion stores. Build a full-featured online department store, but less the complication. 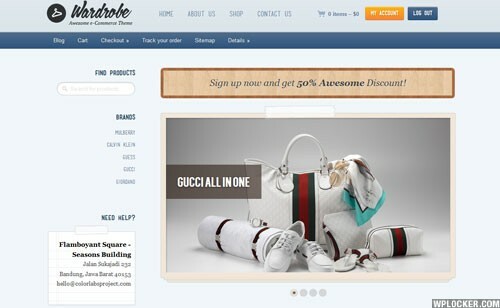 Wardrobe provides exceptional control for all aspects of your e-commerce website. Whether you’re already running an online fashion store that needs updating, or planning to build a new WordPress-powered online store, the Wardrobe theme will be incredibly valuable to you. The pre-made template makes the job of putting up an online store easy without much complication. 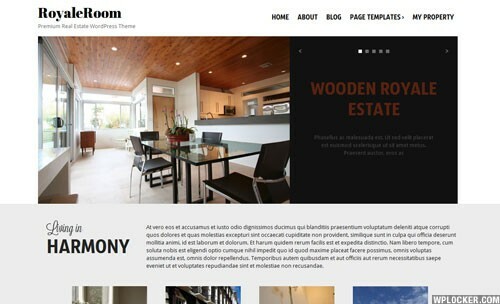 A new shiny look for your amazing WordPress site A WordPress theme that gives spotlight to the amazing photos that you have on your web site. 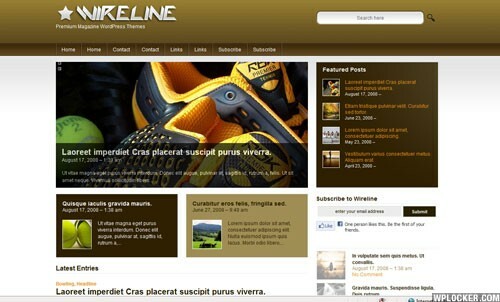 Powered with sliding featured posts, scrollable popular posts and nice drop-down menu effect, Wireline will give your website a new shiny, modern look. Get a wider coverage by bringing your real estate brokerage online. List your properties and let them sell by themselves. People move for all different reasons. They get a better job somewhere across the country and need to find a new home. They fell in love and are moving to a new place together to build a family. Every now and then, people simply want a change. All these can happen to everyone everywhere and that makes the property business one of the constantly well-performing business in the entire world. 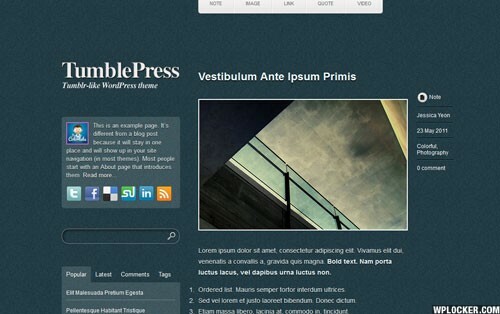 A photoblog child theme for the Backbone Theme Framework. Showcase your amazing photography works the right way. 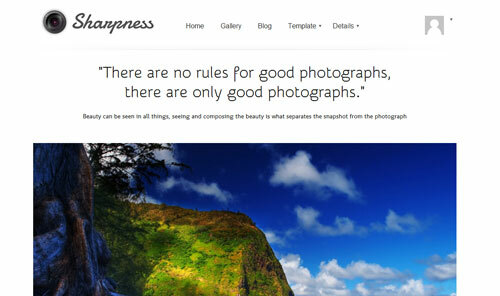 Sharpness is a child theme for the Backbone Theme Framework with a main purpose of showcasing photography. If you are a photographer and already have beautiful images to start with, Sharpness will give you a new and exciting way to showcase them online. A super clean newspaper-styled premium theme Here’s a question: have you noticed that news sites nowadays can be so complex that you could easily be lost and overwhelmed? Now, more than ever, what we need are less complex interface, less clicks, less clutter and more whitespace. With SimpleReader, you can have a WordPress-powered website that engages your visitors as well as provides succinct information. Tailored for footwear shops, casual fashion retailers and clothing stores. Sneakers Addict is all in the focus and flexibility. 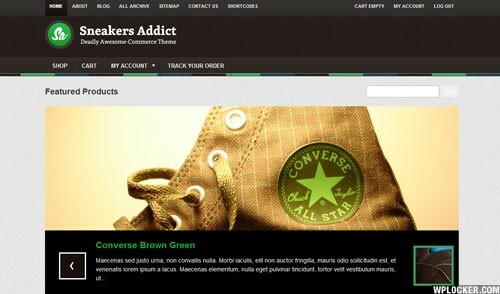 Sneakers Addict is a WordPress theme for e-commerce websites that lets you set up a great-looking, customized online store to sell your products. It is designed and developed for casual fashion, clothing stores, and independent fashion lines. The design of Sneakers Addict will engage your audience in a light and fun manner that attracts the eyes of visitors and leaves them wanting more. 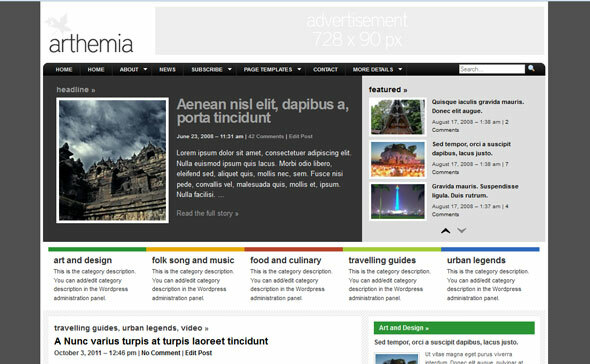 One-of-a-kind WordPress travel blog theme for the world's travelers, explorers and wanderers. 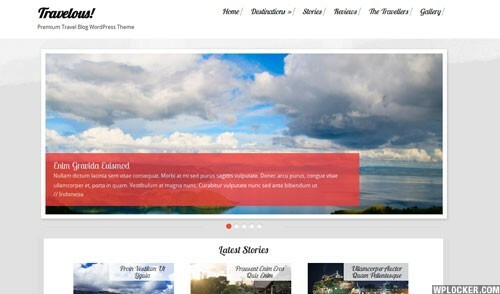 Travelous helps you build a travel blog quickly and with ease. Are you planning a trip around the world? Or perhaps you’re already living overseas and considering starting a travel blog? Maybe you used to be stuck in an office somewhere, but now, after saving enough money, you can finally have a trip backpacking around the world? As simple as Tumblr, as powerful as WordPress You take pictures, you write stories and opinions, you make videos, you link to cool sites all the time. Tumblr is perfect for that but there’s one flaw, you don’t get to control everything as easy as you would with WordPress. You’ve got no control over your database or server and you can’t even do anything with its SEO.